As with humans, it is important for brands to know what behaviors are socially acceptable. Another day, another social media blunder seems to be cropping up in my Facebook newsfeed. It’s become almost second nature for me to wonder, “which brand will it be today?” with so many brands overstepping their boundaries and issuing apologies for their mistakes. However, the more I think about it, the more it makes sense that we’re seeing these social missteps on a recurring basis. As brands work to become more social – more human – they are being held accountable for being just that: human. 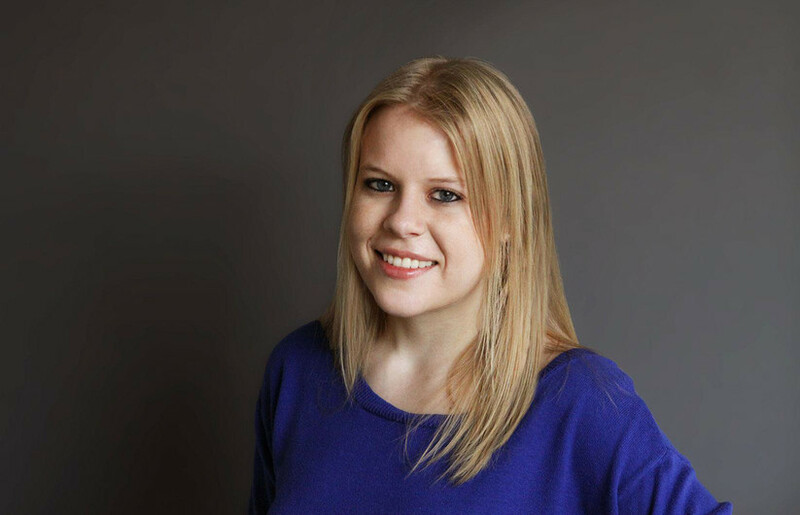 As a millennial working in the social media and branding space, I’m well attuned to the notion that when it comes to brands and social media, almost anything goes. A brand’s ability to react and engage quickly with their audience is not only lauded, but also expected of fans. Also, given its real-time nature, some of the most successful posts and tweets on social media are those that a brand posts on the fly. But unfortunately, this spur of the moment thinking often results in borderline offensive and inappropriate posts and tweets. One incident that caught my attention comes from IHOP, the International House of Pancakes restaurant chain. 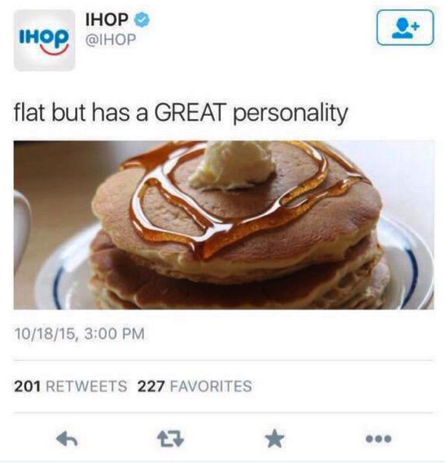 The company recently posted a particularly controversial tweet (that has since been deleted), alluding to the flat yet great personality of their pancakes. The tweet was quickly shot down by fans citing its overtly sexist and off-brand tone, especially given the fact that IHOP refers to itself as a family restaurant. Many commentators have been quick to note that IHOP is likely trailing on the success of its competitor Denny’s, who has been pushing the proverbial envelope across all of their social media platforms with witty comments and snarky responses. Denny’s has developed a particular knack for catering to a fan base of intelligent and socially active millennials, who have conversely grown to love the brand’s surprisingly youthful marketing tactics. A quick glance at Denny’s Tumblr page shows just how fun and engaging the brand has evolved to become in order to keep pace with millennials. It should come as no surprise then that IHOP would hope to take back a share of this market that they lost by attempting similar tactics. I see countless posts and comments on Facebook with claims that our generation is becoming overly sensitive and that people don’t know how to laugh anymore – but in my opinion, we’re becoming wiser, whether it be through protesting cultural appropriation in Halloween costumes like the use of blackface and Native American feather headdresses, or through understanding why #BlackLivesMatter, and why those advocating #AllLivesMatter contradict this effort. Brands seeking to appeal to millennials should know that, while we are impressed by brands that can make us laugh, we aren’t willing to overlook political correctness for it. The growth in cultural sensitivity and awareness of sexism in recent years – which in my opinion, has been fueled in large part by millennials – is shaping how we react to the media around us, and no amount of brand loyalty will ever outweigh this scrutiny. As millennials continue to eclipse older generations in terms of buying power and consumption, it will be interesting to see how brands continue to hone and refine their online practices to avoid future incidents like this. Looking for a suggestion from a millennial? Stay relevant, but mindful of the expectation that this generation wants to get it right the first time.